Hello! As some of you may know, it was my Birthday on Saturday. 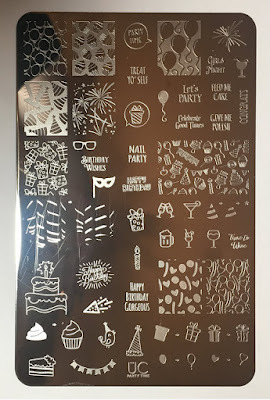 My boyfriend treated me to a lot of nail goodies - including some Princess Nail Lacquers and Glam Polishes, the new Uberchic Beauty 'Party Time' plate, and a new helmer! One of the Princess Nail Lacquers he picked up was 'Birthday Cake', so I had to put it on my nails straight away. I paired it with the Uberchic plate, and my birthday nails were born! Read on to find out more. 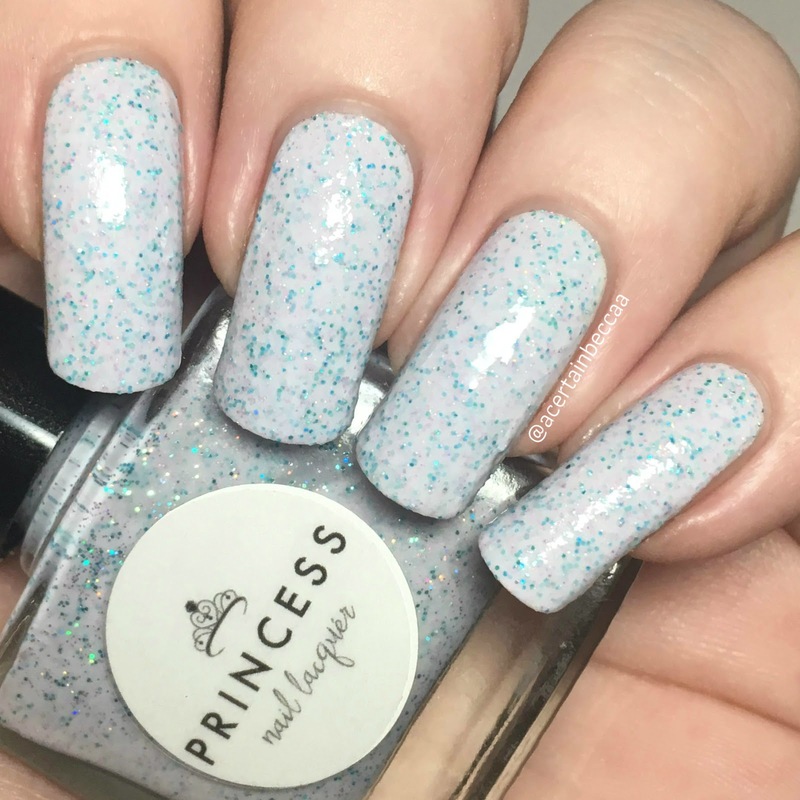 Princess Nail Lacquer 'Birthday Cake' is a white crelly full of pink, blue, and holographic silver microglitter. The formula is slightly on the thicker side due to the glitter but still very easy to work with. I had some minor streaks after two coats so ended up applying three. If careful, you could easily get it opaque in two. It does dry slightly textured so I would recommend topcoat. This is a perfect Birthday polish, I love it! 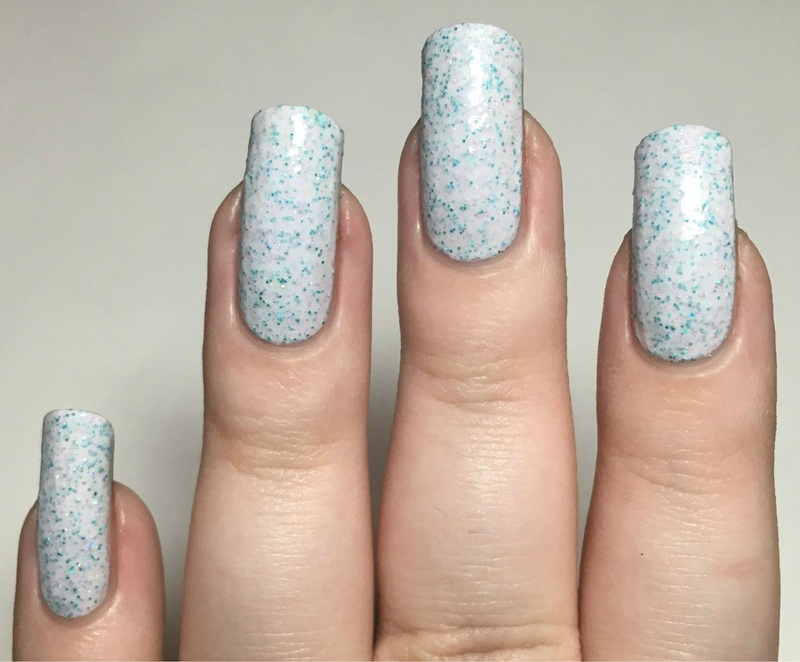 Below is three coats topped with Princess Nail Lacquer's 'Glass Slipper' topcoat. As mentioned, I used the Uberchic Beauty 'Party Time' plate (purchased from Nail Artisan) for my stamping. Here's a quick look at the plate itself. I stamped using my Born Pretty Store clear stamper and hot pink stamping polish, and MoYou London 'Turquoise Mint'. I used both polishes to create a layered cupcake on my ring nail (my first attempt at layering! ), stamping the pink icing first and then the blue outline. 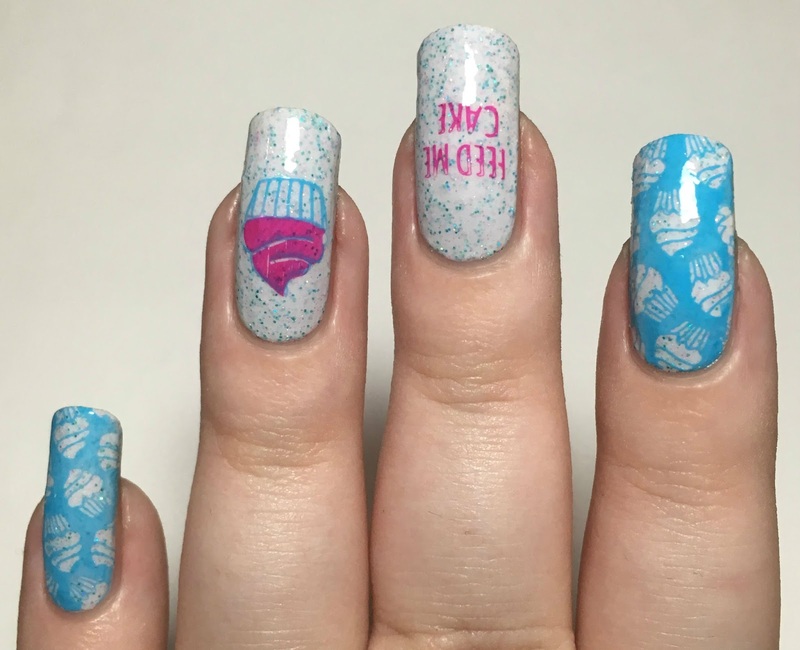 I then stamped the repeated cupcake pattern onto my index and pinky nails in blue, and the words 'Feed Me Cake' on my middle finger in pink. I also snuck in the 'Give Me Polish' wording onto my thumb nails using the Born Pretty Store pink. It really made me laugh so I couldn't resist adding it in. What do you think? I'm actually in love with them! So much that I still have them on now, and I don't think they're coming off anytime soon! I'll be back with swatches of some of my other Birthday polishes soon, but for now I leave you with my new motto - 'Give Me Polish. Feed Me Cake'. What else could you need?! Unfortunately 'Birthday Cake' is sold out, but you can find lots of other polishes on the Princess Nail Lacquer website here. 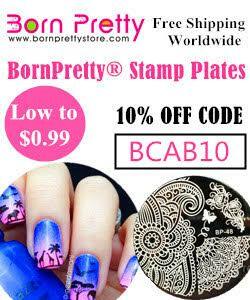 You can find the Uberchic Beauty 'Party Time' stamping plate on Nail Artisan here. 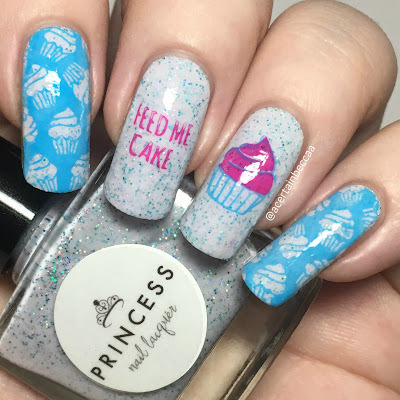 This is the perfect Birthday manicure! Ooh gorgeous mani and polish. Happy belated birthday. Happy birthday! Your birthday mani was adorable. 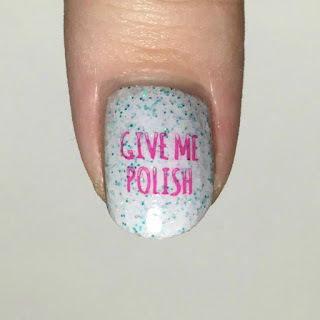 I love the GIVE ME POLISH stamp! Happy Belated Birthday! Your mani is awesome and your boyfriend is awesome as well! Lol.